Is Your Yeast Infection Caused By Mercury Fillings? 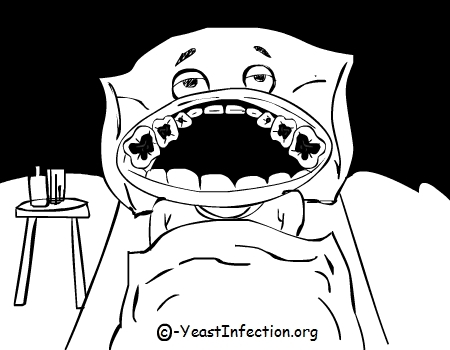 - YeastInfection.Org by Eric Bakker N.D.
You are here: Home / Yeast Infection Causes / Is Your Yeast Infection Caused By Mercury Fillings? Is Your Yeast Infection Caused By Mercury Fillings? Unfortunately it is currently impossible to provide a specific answer in the context of amalgam directly influencing Candida overgrowth. If that sounds a little vague, what I mean is that there is strong evidence toward amalgam fillings indirectly influencing not only Candida in a negative way, but many other illnesses. However there is no evidence that amalgams cause it. What we are talking about when it comes to amalgam fillings are the silver colored compounds which most people have opted for when having cavities filled. Although they no longer contain high amounts of silver, which they did when they were first invented, they do contain a high level of mercury, around 50%, and the suspicion that this heavy metal lies behind various health issues has seen a sharp increase particularly in the past decade. Yet the debate involving the negative impact of amalgam fillings has actually been raging for almost 200 years. In fact, questions about the safety of this particular compound started practically from the time it was first used – in the 1830s. However there has also always been strong support for amalgam fillings by many dental professionals, which was, at one point, entirely because that there was no alternative compound suitable for the purpose other than gold, which was, and still is, extremely expensive. Yet the ‘pro’ amalgam debate has also frequently maintained that amalgam is safe and such claims originally appeared to be substantiated in a study performed in 1957 by KO Frycholm. This study established that the higher levels of mercury found in the feces and urine of patients who were given new amalgam fillings returned to normal after 13 and 7 days respectively. On the surface then this would seem to prove that mercury is not leeched from fillings in the long term. However the problem many professionals are concerned with does not relate to mercury which leeches from the fillings and is expelled from the body, but mercury which leeches and is not expelled, but is then retained by the tissues. A further study undertaken in the late 1980s examined the organs of a sheep 29 days after it had amalgams fitted. Scans and biopsies showed that the sheep, even after the amalgams were removed, had high levels of mercury in the jaw, gum bone, kidneys, liver, stomach, digestive tract, tracheal lining, lung, heart muscle, spleen, pancreas, brain and ovary. Again this kicked off the amalgam safety debate. Another issue then arose which related to the mercury in amalgam fillings not leeching actual mercury but emitting damaging vapors which are then constantly being inhaled. Originally it was denied that the mercury released any vapors at all, then, once it had been proven that vapors are emitted, it was said they do not cause any negative health issues. A stance which the FDA still stands by today. Yet in the past scientists believed that the mercury in amalgam was inert, meaning it does not leech an vapor at all, a position which obviously changed. Today it has been conceded that it does leech and vapors can be inhaled, that these vapors are harmless. Who knows what the science of tomorrow will uncover. Yet still today, despite a vast amount of research suggesting amalgam can negatively affect health, it is still the most popularly used compound for cavities, although the number of dental practitioners using it, has fallen. When it comes to the mercury content of fillings negatively affecting Candida my own interest in the subject began with personal experience. I had suffered the effects of a Candida overgrowth for years and I had investigated all possible ways of eliminating it outside of those usually applied by conventional medicine. One of the things I began to realize could be affecting my ability to rid myself of it was my amalgam fillings. Although my doctor thought I was nuts for even thinking that my fillings could in any way be negatively affecting my health, I paid for all of them to be removed and replaced with composites. The year was 1987, and maybe I was thinking a little ahead of myself, but I know, that along with lifestyle and dietary changes, it was also the year I got rid of my Candida overgrowth for good! Today composite fillings are only slightly more expensive than amalgams, around $10, and, even if you don’t feel like going through the expense and trauma of having them replaced, you can at least make sure that your dentist always uses composites or other alternatives in future. Although there is usually talk of high mercury levels in the environment and food that we eat, particularly fish, this is usually different to the mercury in amalgam fillings. What we are looking at here, particularly in relation to Candida, is methyl mercury. This is where Candida convert the mercury vapor being released into methyl mercury. This is more toxic than the original compound introduced through the amalgam itself and which affects the digestive tract rather than the lungs. There is also evidence that the mercury in amalgams can negatively affect the immune system and the thyroid. 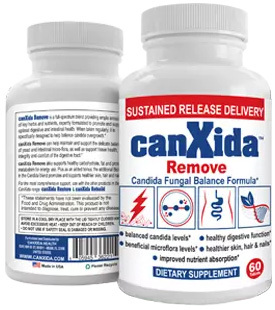 Which, as regular readers of my articles are aware, can severely impact the chances of eliminating a Candida overgrowth once it becomes established. To compound the problem the immune system is also overwhelmed by trying to rid itself of the mercury which is constantly being leeched and subsequently it becomes weakened and stressed. This means that the problem in itself becomes cyclical. Hopefully now you can see how difficult it is to answer the original question, because although it is unlikely (but certainly not impossible) that amalgam fillings can actually cause an overgrowth of Candida, it is possible that it indirectly contributes to either aggravating it or preventing the removal of it. Although back in the ‘80s I went to the lengths of getting my amalgams replaced, there is today some concern that the actual removal may result in more mercury being released into the body by this process. This is the reason that some people now undergo what is known as chelation which is a HMD (Heavy Metal Detox) method. This is a natural way of removing mercury, and other metals, from the body while your amalgams are still in place. It can be used in conjunction with my dietary techniques for eliminating the Candida and, I have found this is the best method for ridding the body of mercury and for taking the negative factors of amalgam with it. Although my preference is for the natural chelation treatment HMD, I accept that many people may prefer to have their amalgams removed and replaced and to participate in the synthetic treatments. However the treatment processes are far too detailed to enter into here and I would only stress that you should drink plenty of water and increase fiber intake via a supplement no matter which option you choose. I would also strongly suggest that, even with the natural detox methods, you engage the expertise of a qualified professional before embarking on any heavy metal detoxification program.